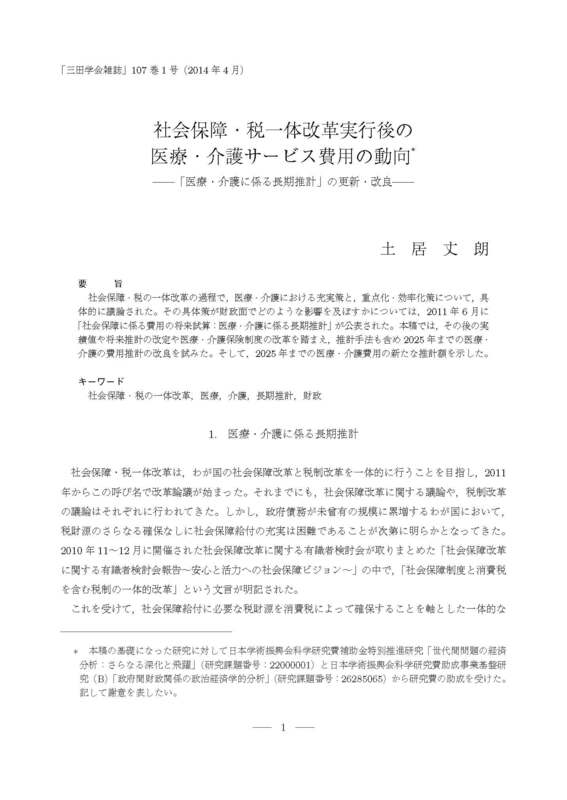 In the process of the Comprehensive Reform of Social Security and Tax in Japan, medical and long-term care enhancements, prioritization, and efficiency measures were specifically discussed. Also, the "Future Estimated Cost of Social Security: Long-Term Estimate on Cost of Medical Care and Long-Term Care" was published in June 2011. Based on later actual values, revision to future estimates, and reform of the medical and long-term care insurance system, I improve the cost estimates of medical and long-term care through the year 2025, including the estimate method. Consequently, this paper provide a new estimation of cost for medical and long-term care through 2025.